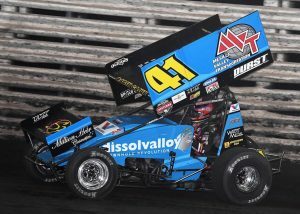 Carson Macedo, a 22-year-old fourth-generation racer from Lemoore, Calif., is the latest addition to the World of Outlaws NOS Energy Drink Sprint Car Series’ roster of full-time competitors. Handpicked by fellow Californian Kyle Larson to wheel the No. 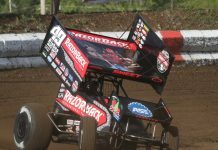 2 sprint car fielded by Kyle Larson Racing, Macedo will achieve his goal of racing with the nation’s premier sprint car series. “But I don’t necessarily just want to race with the World of Outlaws. I want to win,” Macedo told SPEED SPORT. “I don’t want to just be out there and participate. That’s never been my mindset in anything I’ve done. I want to win races and I want to win championships. I understand that’s a big goal and it might take some time, but I go to the race track every single night with the mindset to win. Born into a racing family, Macedo was only 5 years old when he started driving a 100cc junior sprint with guidance from his grandfather, longtime West Coast racer Robby Tarlton. Macedo steadily advanced through the micro sprint ranks and began racing a winged sprint car when he was 15. 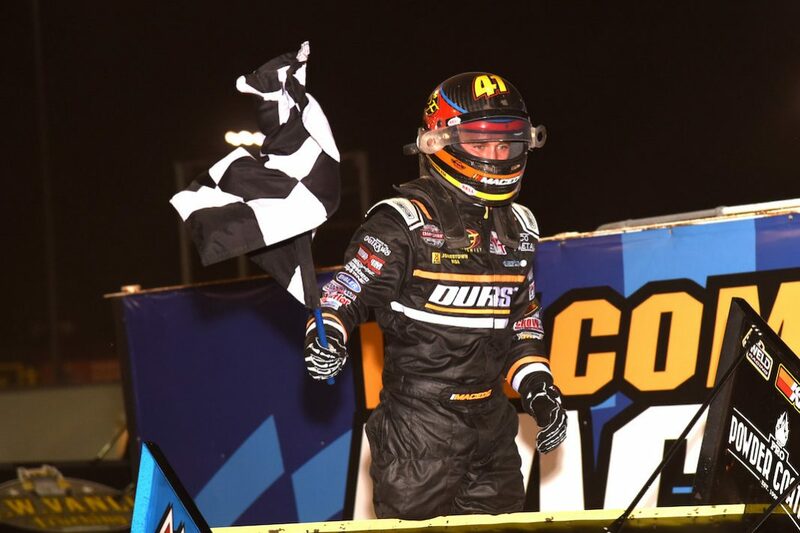 Macedo’s early sprint car success included winning a prelim night feature during the 2014 Gold Cup Race of Champions World of Outlaws event at Silver Dollar Speedway in Chico, Calif., and claiming the King of the West title in 2015. In 2016, Macedo packed his bags and headed to the Midwest where he raced a midget for Keith Kunz Motorsports with sponsorship from Tom and Tommy Tarlton’s construction company, Tarlton and Son Inc. While Larson, Jason Leffler and Christopher Bell are among those who utilized KKM as a stepping stone to NASCAR, racing stock cars was never part of Macedo’s plan.